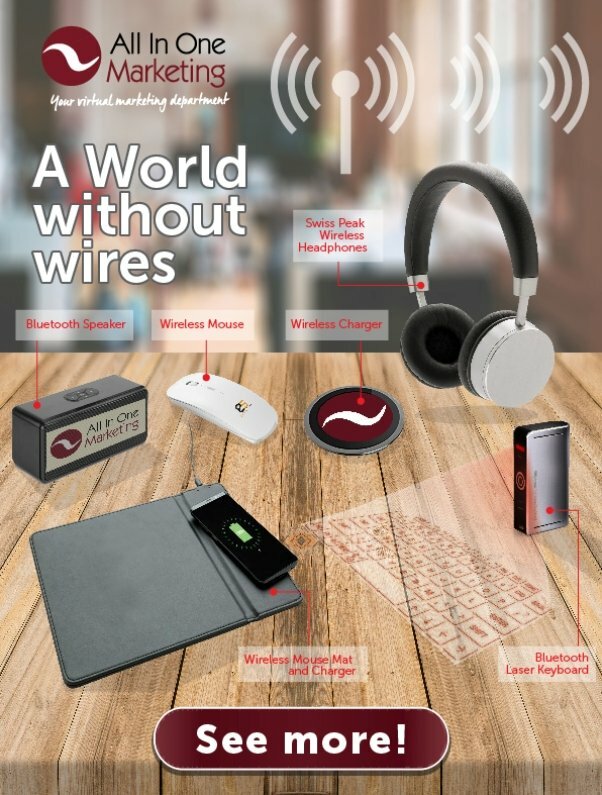 All In One Marketing is bringing a World without Wires. Would it not be great if your desk had no wires on it? Well this is no longer a pipe dream as we can provide a keyboard, a mouse, headset, Bluetooth speaker and charger all without wires on it. All of this can be branded with your company logo on . We’re a company with offices in London that specialises in providing a wide range of inspirational merchandise. The merchandise include branded promotional glassware, lightweight promotional products for mailing, personalised sports and leisure gear, and much more.